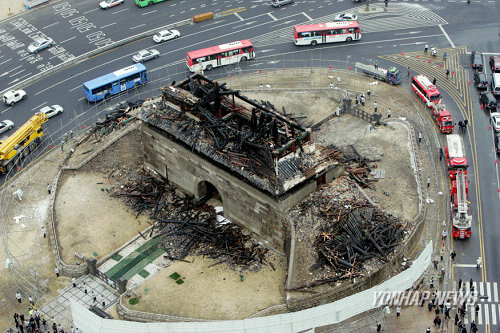 I was surfing on the Internet and much to my own surprise and (late), the oldest wooden structure in Seoul is entirely burned down. I visited this building in 2002. You visited this place in 2002.